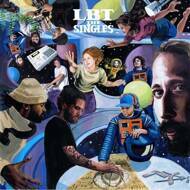 L.B.T (Live Beat Tapes) are a collective formed of hip hop producers, jazz musicians, rappers and singers. This album is a compilation of singles, an overview of a year’s work and of 10 digitally released episodes. This 12-members collective of Florentine-based artists / hippies is a dynamic, ever-evolving musical experiment, in search of the perfect vibe.